Questrade: How Does It Work and Is It Right for You? While investing with online resources might seem relatively new, it has been around for quite a while. One of the biggest and most successful names in this field, Questrade, has been operating for two decades now. They are currently the largest independent Canadian online brokerage company and they have developed a solid reputation over the years. The company has become very popular for a range of reasons. 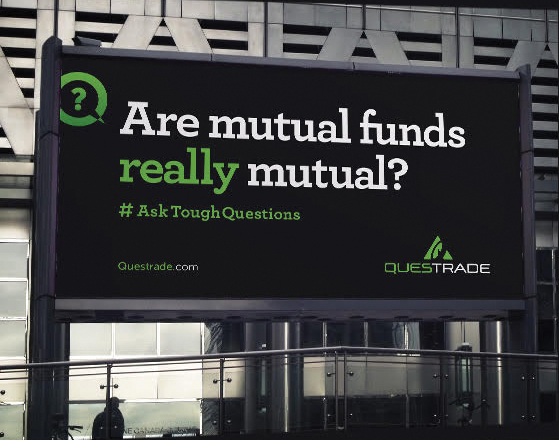 Since their inception, Questrade has made it a point to make investing as simple as possible. They have a platform that is streamlined and easy to understand, which allows it to appeal to a broader range of investors. One of the other reasons they have become so popular and have maintained that popularity is because they have very low fees. When it comes to making trades, they have a $4.95 minimum and a $9.95 maximum, making it the cheapest option you can find. They have no fee Exchange Traded Funds purchases, and they work very hard to keep their prices the lowest possible. Those who are trading options will find that it is $9.95 plus $1 per contract. They know that these low costs are what attracts so many people to them. As mentioned, ETF purchases will not have a fee or commission. When you compare this with other online brokerage companies, and other forms of investing, you’ll see that it is a far more cost-effective choice. If you have a registered account, you will not have to pay any annual fees either. This has caused other companies in the field to start making changes to keep up. There are still many companies out there that charge a maintenance fee, and in some cases, they could be $100 or more, even if that company really doesn’t do very much to earn that fee. With Questrade, you don’t have to worry about those types of useless annual fees. The company will also allow you to hold USD in your registered accounts. However, if you don’t want to hold it in your account as USD, it is also possible to convert the currency. You can do this without having to pay any currency conversion fees. Questrade will even pay for transfer out fees that could be charged by other financial institutions. The caveat is that they will only pay this fee if you transfer a minimum of $25,000. This is yet another incentive to use Questrade. Are There Any Cons to Questrade? Thus far, we’ve discussed the main benefits of using the company, namely the simplicity and the low cost. However, it is also important to look at some of the cons associated with Questrade. While the company does have a customer service department, their customer service is not known to be quite as responsive as some of the competition. It can sometimes take a little longer to get the help you need. Still, they do have a wealth of different ways that you can get in touch with them if you need something. Overall, this is the only real potential problem that somebody might have with the company. For those who are looking for a simple and effective way to start investing without having a lot of money on hand, Questrade can be a great choice. You can explore their site and their options and learn more about what they can do to help you with your investments. This tends to be a good option for those who are DIY investors who may not have a lot of time or energy to spend on their investments, but who still want to make good choices.